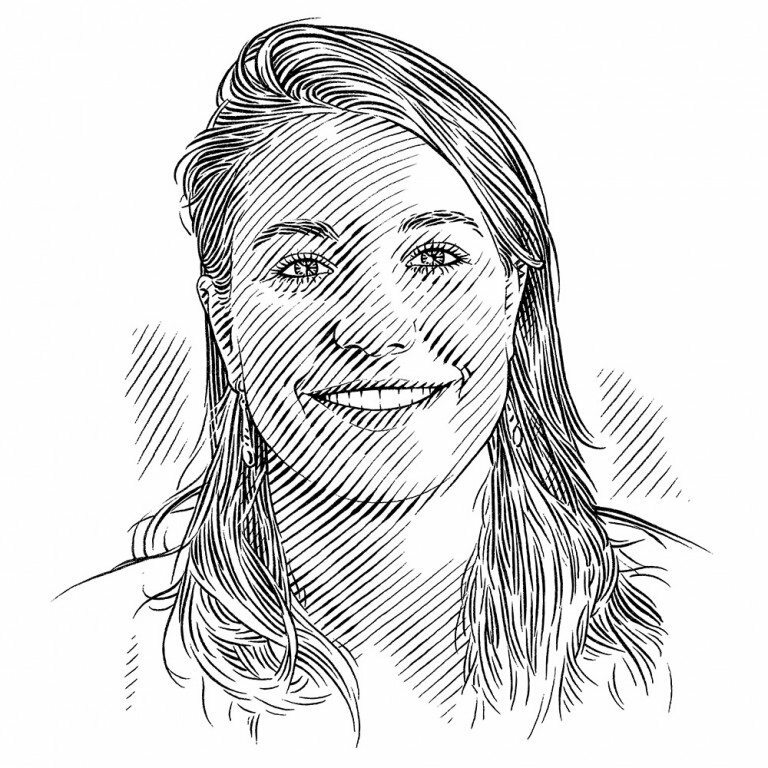 A number of things make whales fascinating: their size, their mammoth migrations, their inscrutability… South Africa’s south-western coast is a good place to catch up with them – and with Katja Vinding Petersen as she studies them. Philippa Ehrlich spoke to Katja about the fascination southern right whales hold for her. Southern right whale (Eubalaena australis) near Pearly Beach, 20 kilometres south east from Gansbaai, relaxing in the slow rolling waves. 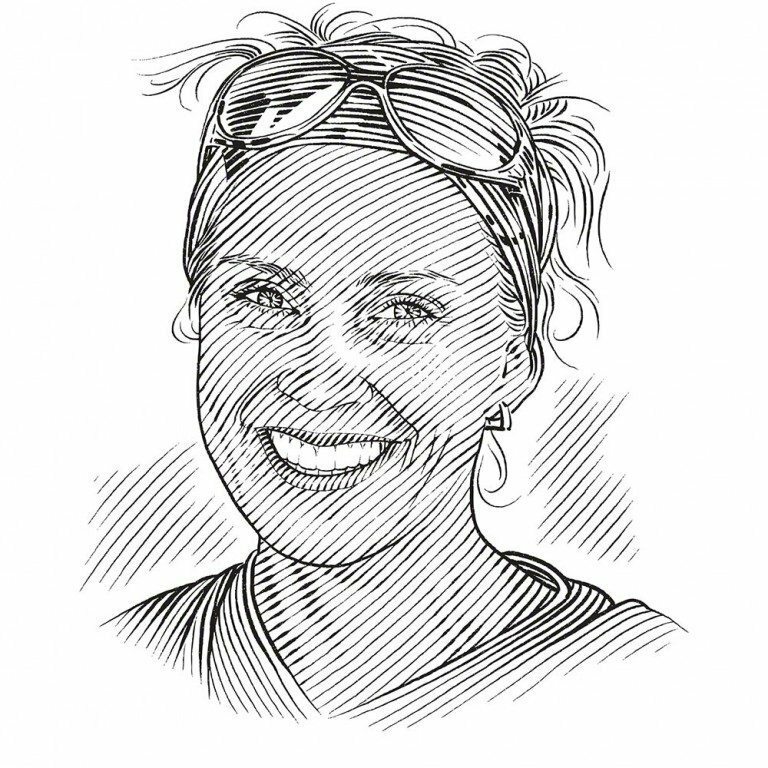 Originally from Denmark, Katja Vinding Petersen has lived in South Africa for almost six years studying the country’s population of southern right whales. These enormous cetaceans were almost hunted to extinction in the first half of the 20th century, but today they are thriving along the coast between Cape Town and Mossel Bay. How did you come to study whales in South Africa? In 2006 I was privileged to be on the Danish Galathea 3 expedition, an around-the-world scientific and educational project. My biggest passion has always been marine mammals, and cetaceans in particular. One of my good friends was on the ship as well, working on acoustics, so we decided to see if we could record some of the southern right whales in South Africa. We left the expedition in Cape Town and went out to the Overberg – and I fell in love with the area. It was like coming home. My soul felt at home in Gansbaai, of all places. We didn’t get any recordings because the animals were silent, as cow–calf pairs are most of the time. But I definitely got my connection to the area. What is it about marine mammals that fascinates you? There’s something intriguing about them. You see them, but you don’t really see them. And all their adaptations are so fascinating. They’re mammals, but they can survive in the ocean. They’ve got no legs. They’ve got thick blubber to protect them in that cold, cold environment. And they use sound to find their way around and locate each other. Did you ever manage to record the sounds of the whales? That’s one of my biggest research passions: the acoustic part. I have loggers in the ocean recording the whales and I have been going through those recordings for most of this year. It’s incredible to finally be eavesdropping on southern right whales communicating. What is it about the Overberg coastline that the whales like so much? They like gently sloping bay areas protected from the wind. Especially the cow–calf pairs because they want to spend as little energy as possible fighting waves. Also this seems to provide protection against killer whales. The southern rights can move into water as shallow as four metres, where a pod of killer whales cannot hunt them from underneath or breach out of the water and separate the calf from the cow. Southern right whale (Eubalaena australis) cows and calves seek out calm, gently sloping bay areas protected from the wind. Their goal is to expend as little energy as possible fighting waves. Have you ever been in the water with a whale? Once, here in South Africa. We were servicing my logger with a local dive team and one of the whales came up to us. It was amazing. It looked at us and it seemed to check us out, wondering ‘Is this something dangerous? Is it another whale?’ We were all just passively in the water together and then it swam off and we could see that massive tail disappearing into the abyss. What are the main questions that you are trying to answer about South Africa’s southern right whales? We are trying to understand their behaviour. For example, I want to know how the animals behave in a ‘surface active group’, which is when you’ve got at least one female and up to 15 males around trying to mate with her. When we’re looking at it from land, we can’t really assess if there are five or 10 or 15 males. We use planes to get a better idea and we are also investigating the potential of using drones. I also want to see if we can get the interaction between the cows and their calves. It seems that as the calves get older, they get more adventurous – just like kids. They move further away from their mothers and then come back again. There’ve been cases where whales met up and kind of swopped calves, swimming off with the wrong one. Do calves ever get lost? Unfortunately, yes. It’s hard to say what happens to their mothers. Maybe they were inexperienced and left their calf behind. Maybe they got separated in a major storm. Maybe she died. Maybe the calf just wandered off and got lost. We have seen two interactions between an orphaned calf that approached an adult female with her own calf. We observed these interactions in two different years, the first one in 2012 and the next in early to mid-December 2013. In each case, the cows reacted differently. The first was actively fighting the little calf because she knew she couldn’t feed two calves. We could see from the aircraft how this calf just kept trying to get in there to drink and the mother would bang her tail and flippers and scare it off, while her own calf was waiting further away. It was heartbreaking to see how that little orphan was struggling. But it seemed that the orphan we saw in 2013 was accepted by a cow–calf pair. In that case, it was much bigger than the mother’s own calf. I think there’s a big chance that calf actually survived because we followed them throughout the month, until they left on 30 December. Southern right whale (Eubalaena australis) cow and calf just off the rocks in De Kelders, on the shores of Walker Bay. How do you know which whale is which? We take ID photos that show each whale’s callosity pattern. A callosity is like the rough skin on your elbows. The calves are born with these rough patches on their face and these patches are colonised by a kind of sea lice. The calves inherit the lice from their mothers. Each louse is about the size of a bottle cap – massive! How regularly do the same whales come back to the Overberg area? We know from Peter Best’s study, which covered the whole coastline, that the majority of the females return to give birth every third year. They have a three-year cycle. In the first year they come here to mate. They are very promiscuous and mate with countless males in a season. Then they swim back down to Antarctic waters to feed. After that they return and give birth to the calf, which they take back south with them at the end of the season. Then they’ll take a year off and either stay down there and not come back or bring the calf back as a yearling and wean it up here. How are these southern rights doing in terms of population health?